As part of the ongoing training for Explorers, members participated in classroom and hands-on hose evolutions. Much like regular firefighter training, explorers were exposed to deploying hose of differing sizes and lengths as well as properly loading it back into a ready status on the apparatus. The training is designed to teach explorers the safe and proper use of hose when at fire scenes. Explorers, when fully trained, are able to deploy hose and fight real fires, such as car fires, dumpster fires, and small brush fires. Explorers can also deploy large diameter hose used for fire hydrants when apparatus is at structure fires. Gain practical knowledge of career opportunities, life skills, service learning, character education and leadership experience to encourage the development of the whole person. Experience positive leadership from adult and youth leaders, and given opportunities to take on leadership roles. Have a chance to learn and grow in a supportive, caring and structured environment. 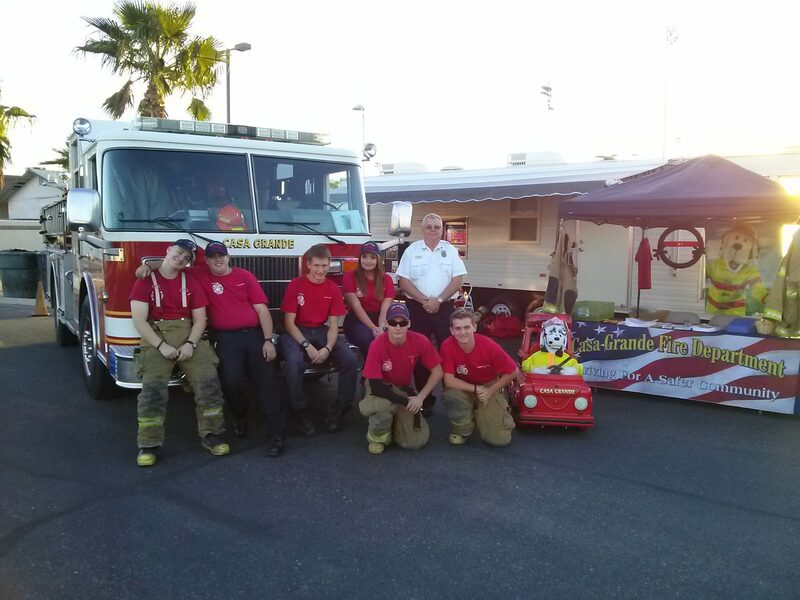 Explorers in the Casa Grande Fire Department program are able to participate in a wide variety of activities. 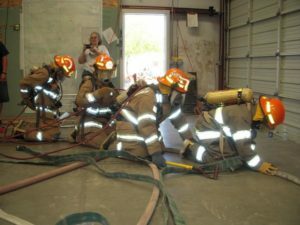 The Casa Grande Fire Explorer Post 911 will provide basic and advanced training to students, allowing them to ride with members of the fire department and assist in the delivery of emergency services. Post 911 is also active in voluntary community service projects as well as fundraising activities that keep the Post self-sustaining. All of these areas provide the student with a well-rounded education that provides excellent “life experience” for future employment or college. 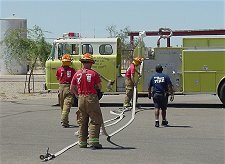 If you would like to learn more about the Casa Grande Fire Explorer Program please contact us at 421-8777.